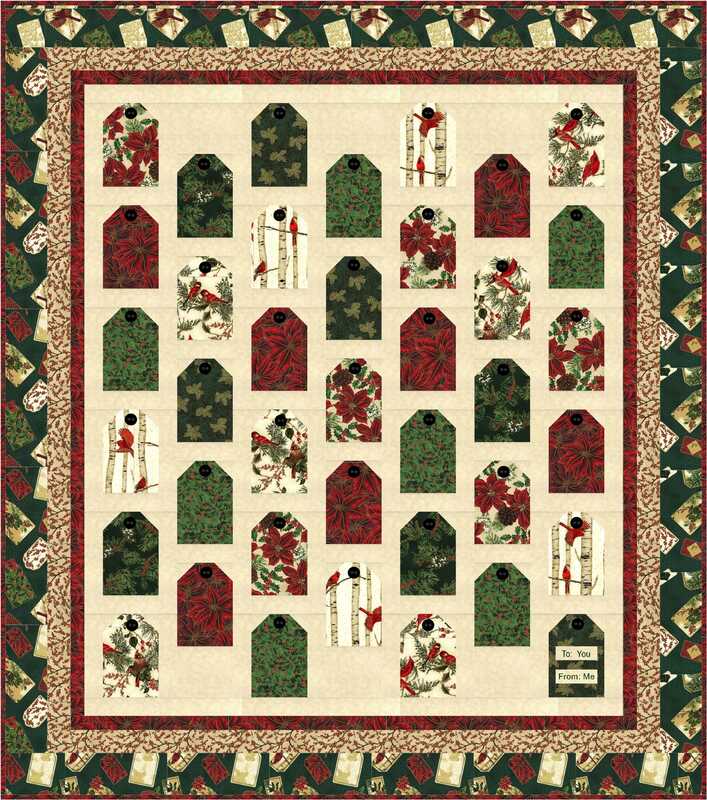 I did finally get into the sewing room and cut out some more pieces for the Christmas Town Sampler border houses. I’ve got the pieces cut for six blocks and got one more house sewn. It just takes so long to figure out what fabrics I want to use for which part of the block, and then do that for six different colored blocks — way putzy which is why I don’t do a lot of scrappy or semi controlled scrapy. 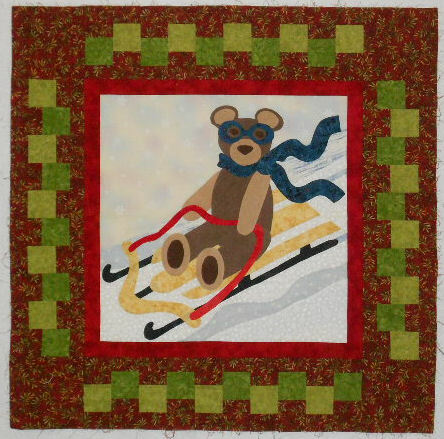 But I shall continue on – it will be a bright and happy quilt when it’s done. The purple house is the new one. Shouldn’t every purple house have a green door? Before starting on the houses today — I finally cut and sewed the binding for the bowtie quilt since the machine that was sitting on the table had the walking foot on it that I use to attach binding. So got that attached to the quilt and will hand sew down the back one of these nights; put that machine away, and pulled out my featherweight to stitch the house blocks. A little seed stitch around the front edge of the good and now I’m working my way across the top of the head sort of. I would be farther but that’s there “a bit of napping” came in. I so hate to nap — it’s such a waste of time but I was awake most of last night with a throbbing headache (which thankfully finally went away) so I kept dozing off while knitting and watching a movie. I just have started that movie over three or four times and finally gave up. But now it’s 9 p.m., no one has bothered to make me dinner so I think it’s going to be some popcorn and then back to the knitting. 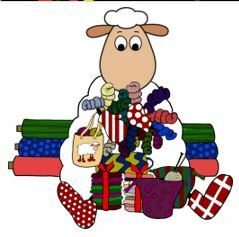 How are you doing with your 12 in 2012 Sock Challenge? We’re at the midway point. Do you have lots of socks finished, are you consistently making one pair a month and you’ve finished that sixth pair, or are you ahead of schedule? I just realized in looking at the 12 in 2012 page at the button link that I hadn’t posted a photo of one pair of socks I had made. The last photo is another pair of Tesserae socks I had made – I love the color of those. So eleven pairs completed so far! I’ve got two pairs I was going back and forth on on the needles right now (until Camp Loopy interfered) one is another pair of the Simple SKYP Sock pattern — one sock is complete. And the other is the Harvest Dew pattern, where I’m close to being able to start the heel flap on the first sock. I still need to update the amount of yardage knit so far this year — which includes all knit projects and not just the socks – since I don’t think I added in the last pair of socks or my camp loopy 1 project. But off the computer and into the sewing room for a while. I was going to give myself until 9:00 to knit this morning _ I started about 5:30 a.m. – and and then move on to other things so I didn’t sit and knit all day. But as I got just past the neck bind off to continue down the two separate fronts of the vest I realized it’s not as long as I would want. I originally thought the length would work – especially after it was blocked – but I don’t think that will be the case and I don’t have enough yarn to make it the length I want it to be. And I don’t want to have to order more yarn since with hand dyed yarn it could be very different than what I previously received even if it is still available. And of course the project does have a deadline no matter what I choose to make so I can’t really stop and wait for more yarn to arrive. So it’s now 11 a.m. and I’ve spent the last two hours or so going through books and magazines trying to decide what I’m going to make instead. 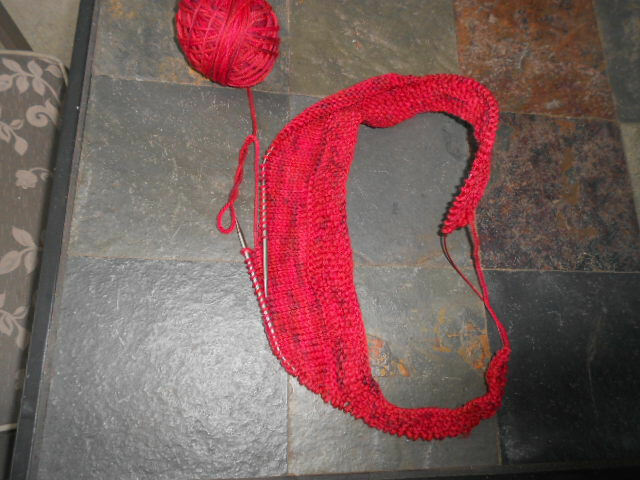 In one of the magazines there is a little girl’s cape – looks like Red Riding Hood’s – and the red of my yarn will be perfect. There’s no little girl in the family to make it for but one of my projects for Camp Loopy last year was a little girl’s knit top which I gave to a co-worker’s daughter. She may be the recipient of the cape too – she could be a yearly camp loopy recipient 😉 or it may end up being a donation somewhere. So on to ripping out everything I’ve knit so far so I’ll be ready to start again. In the meantime, I’m going to head into the sewing room. One of the things I had also planned to do today was to cut out (and possibly get to sewing) some more of the border blocks for the Christmas Town Sampler BOM – just a week to wait until the start of this project so I hope you’ve gathered some of your fabrics so you’re ready to get started next weekend. And here’s still that bowtie quilt that has been waiting the past two weeks for me to make the binding for it — hopefully this weekend that will be completed too!